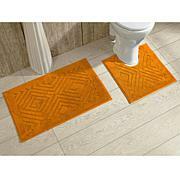 Lavish Home Memory Foam Striped Bath Mat - 24" x 60"
Lavish Home Memory Foam Striped Extra-Long Bath Mat - 24" x 60"
Step out of your tub and into luxury with the Memory Foam Extra Long Bath Mat by Lavish Home. Featuring a soft and absorbent top layer and a memory foam core bringing you maximum comfort while you dry off and get ready to start your day. 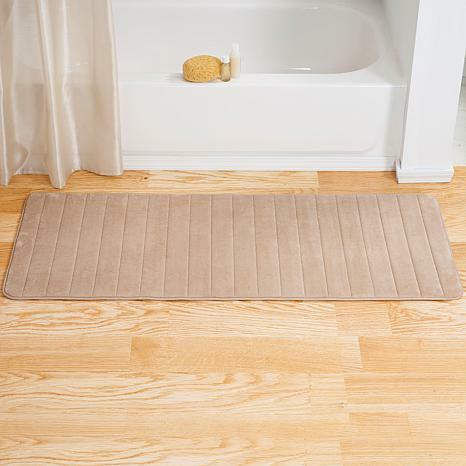 This extra long bath mat is perfect for outside the tub or shower, or even in front of his and her's sinks. 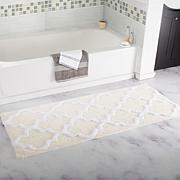 It works great in the master bath. Always having to pick up and move the two, it goes from shower to the door. 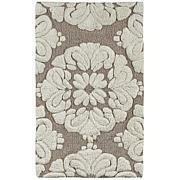 The cushion feel is very good.